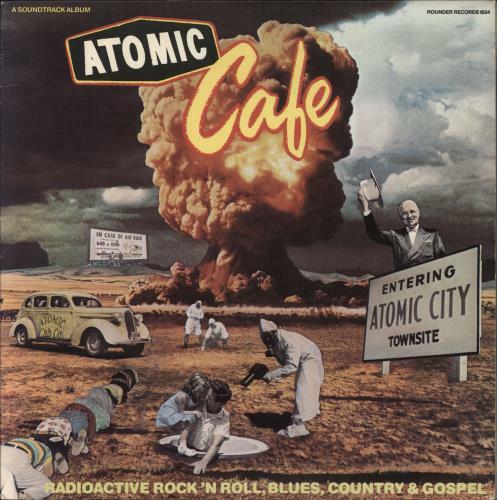 ORIGINAL SOUNDTRACK Atomic Café (1982 US 17-track vinyl LP featuring the music & sound bites from the film, a disturbing collection of 1940s and 1950s United States government issued propaganda clips designed to reassure Americans that the atomic bomb was not a threat to their safety. Picture sleeve complete with information booklet. The sleeve has some light edgewear, however the vinyl looks barely played).